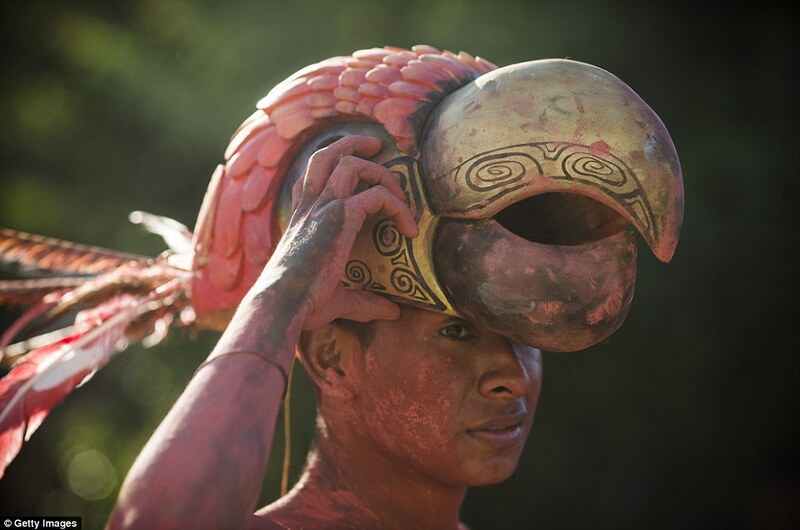 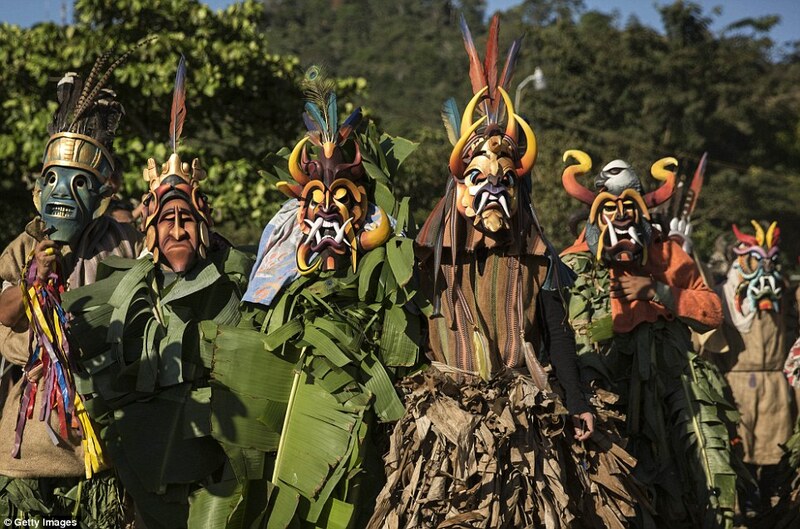 A Costa Rican indigenous tribe’s resistance against Spanish conquerors some 500 years ago has been re-enacted in a colourful festival featuring menacing wooden masks and a man dressed as a bull. 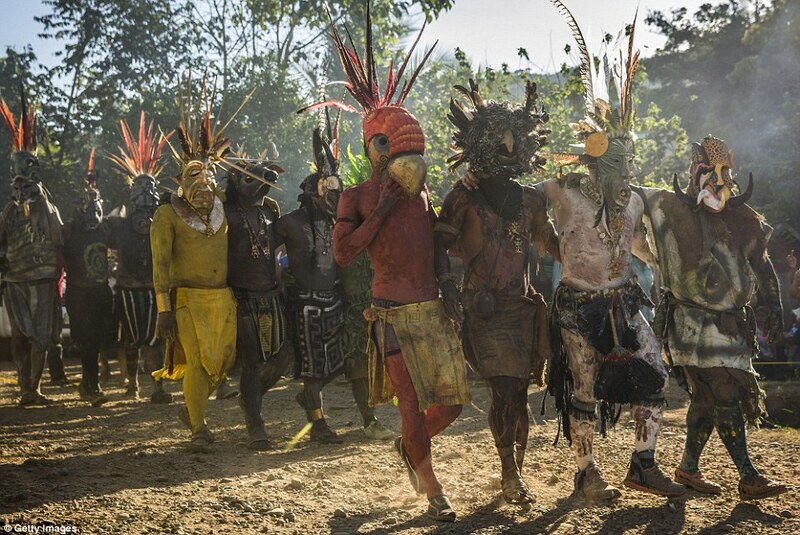 Every year, Boruca tribesmen paint themselves and don the hand-carved masks before chasing the ‘bull’, which represents the Spanish, through the streets at the colourful El Juego de los Diablitos (Dance of the Little Devils) ritual. 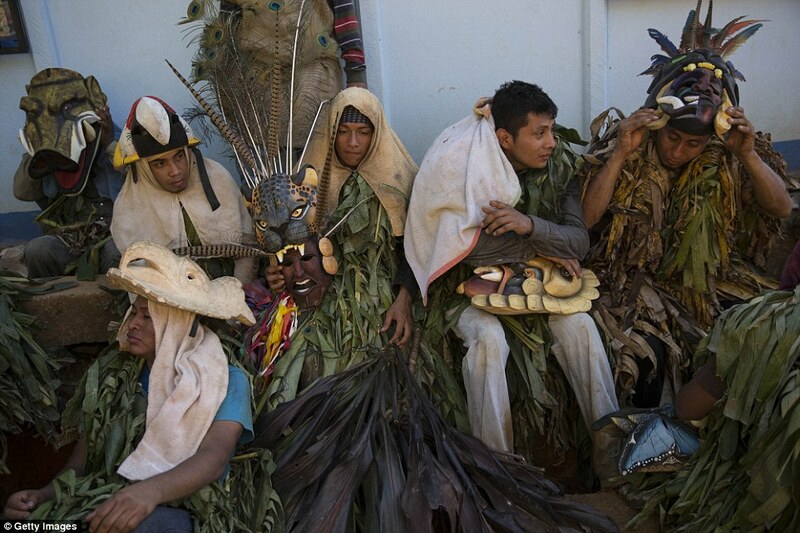 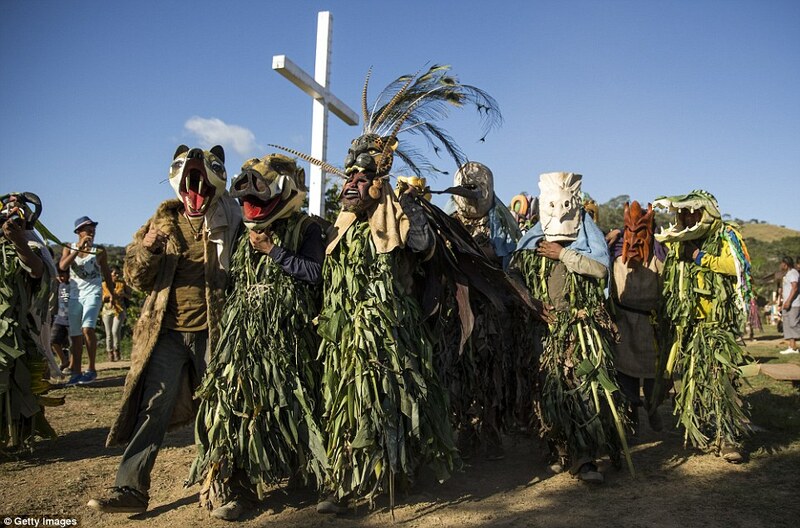 Held over the New Year, the men represent devils in one of the most important traditional festivals in Boruca culture. 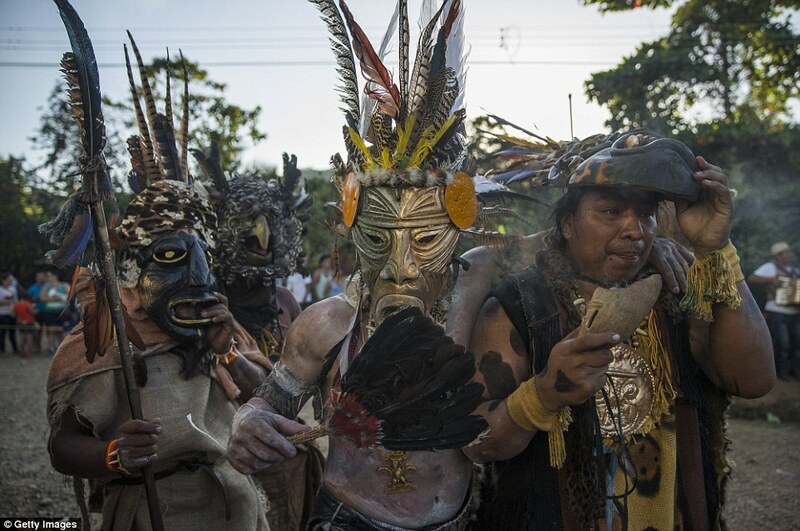 The centuries-old festival starts at midnight on 30 December and ends on 2 January at an indigenous settlement in the Pacific coast province of Puntarenas. 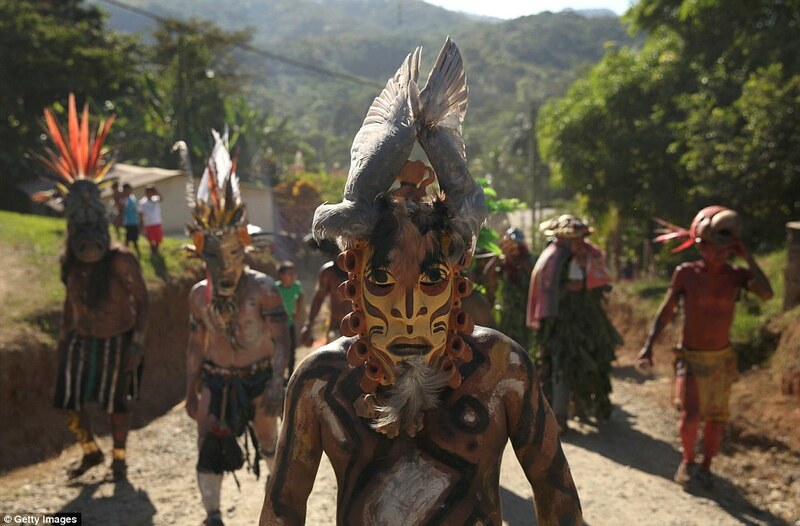 About 2,500 people live on the reserve, which is set among the Talamanca Mountains about 12 miles from the Costa Rica-Panama border. 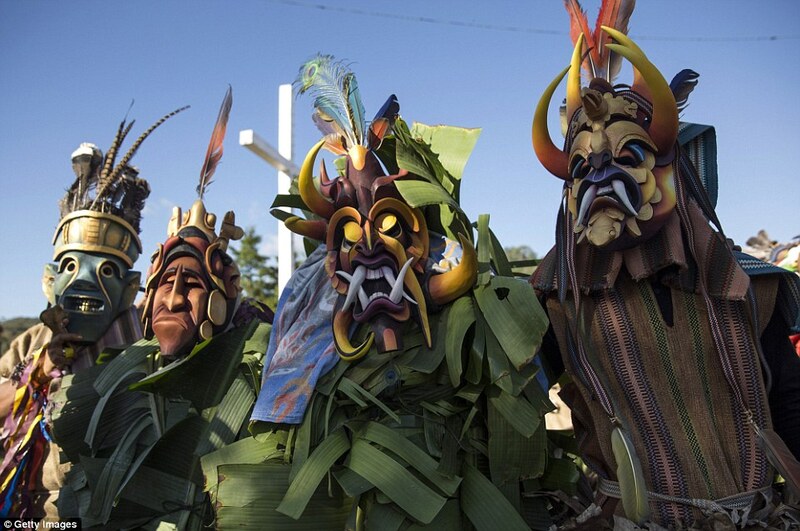 The festival celebrates the fact that Boruca culture and traditions remain intact after Costa Rica was colonised by the Spanish, who called tribe members ‘little devils’. 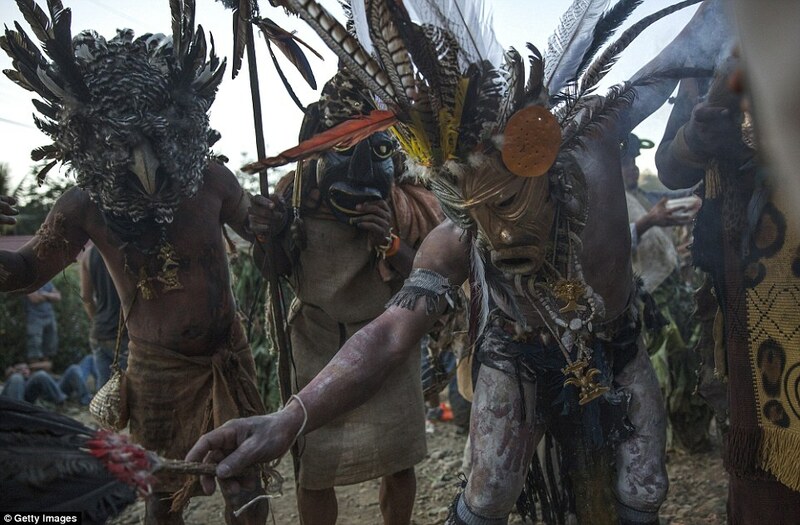 Spanish is the dominant language within the tribe today and many members identify as Roman Catholic after the religion was introduced by the Spanish in the 1500s. 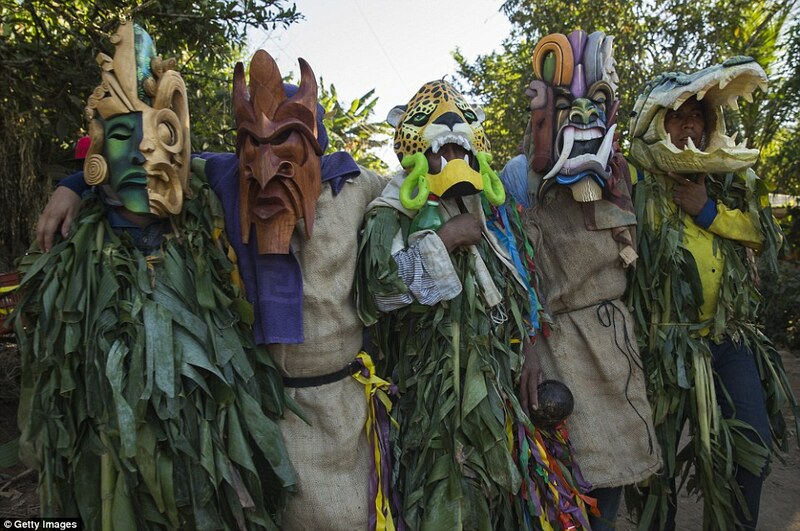 However, beliefs in Boruca legends and a god named Sibu that existed before the Spanish arrived have not been completely abandoned. 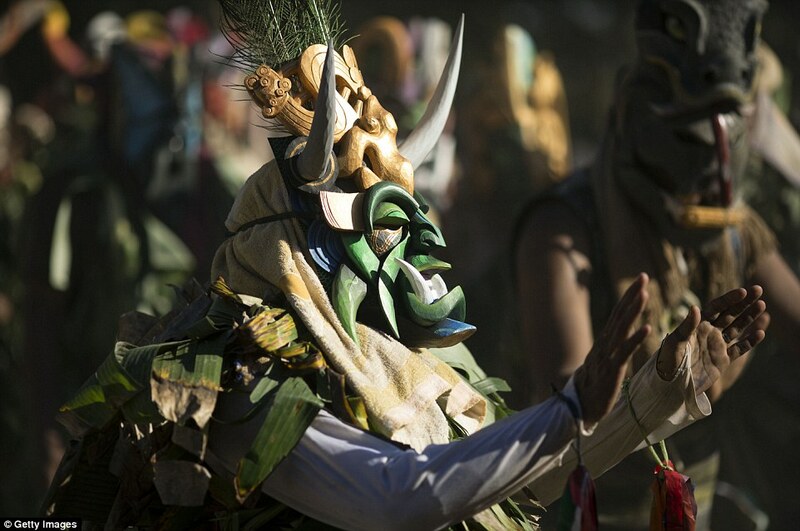 The elaborately carved devil masks are usually one of two different types – diablo or ecological. 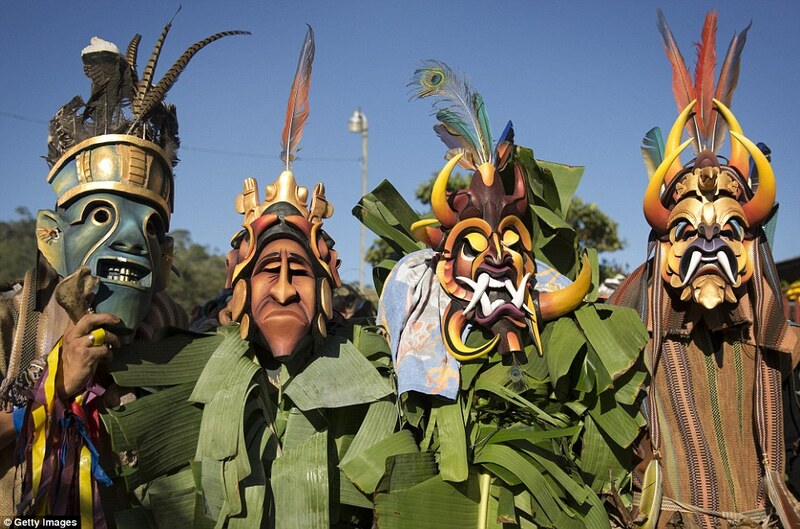 Diablo masks depict scary faces while ecological masks depict birds or animals. 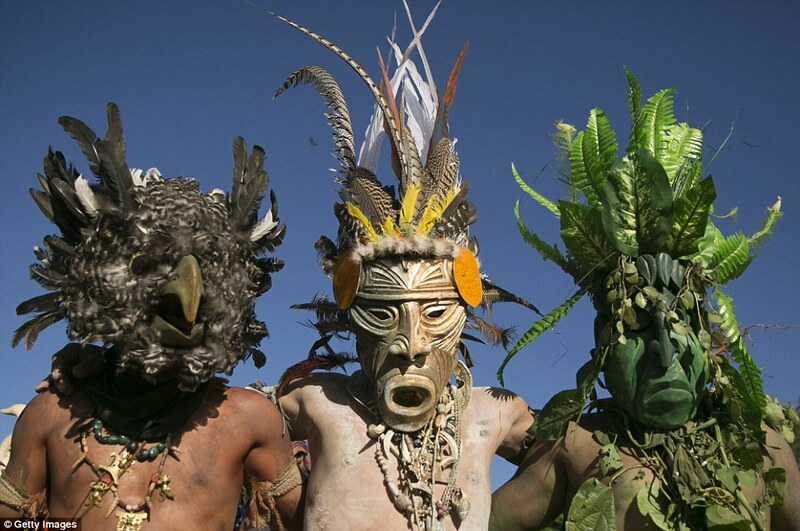 Mask-making has become an important part of the tribe’s survival, with its handmade crafts being sold in tourist shops across the country. 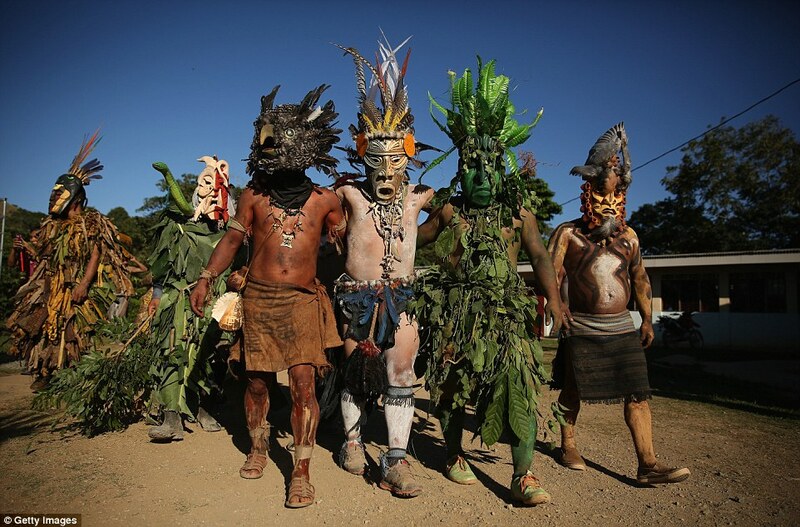 Previous article Did You Know These Heavy Metal Rockers Were Powered by Plants?